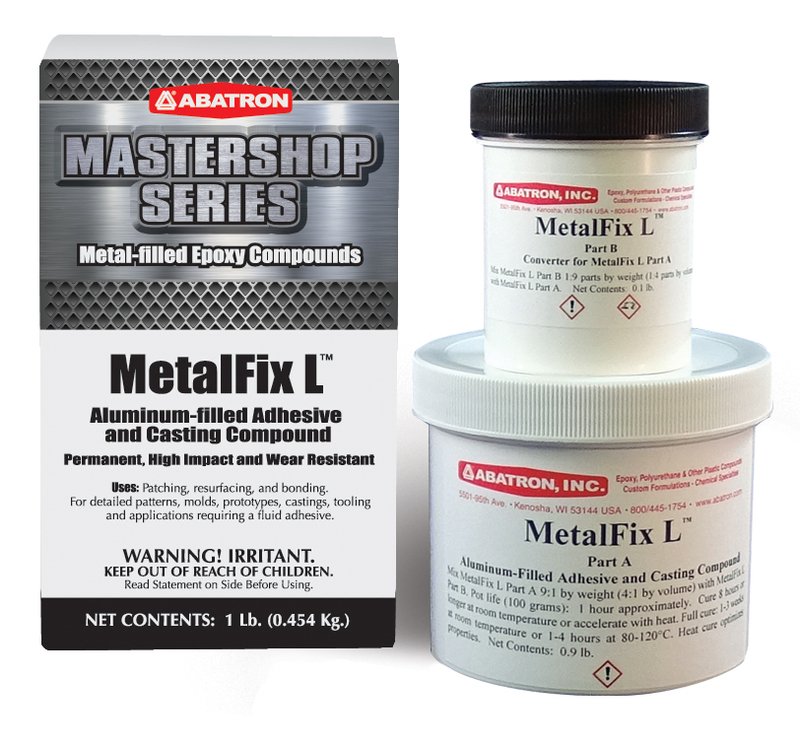 Metalfix L | Abatron, Inc. Uses: Applications are nearly limitless. Permanently repair any decorative or structural metal components. Also use these products on ceramic, glass, fiberglass, and most rigid surfaces. They offer the perfect solution to restore and rebuild metal window frames, sinks, pipes, gates, fences, stair rails, ranks, pipelines, off-shire rigs, vehicles, engines, tools, molds, frames, ship decks, bulkheads, hulls, stacks, masts, and more. Features & Benefits: These compounds offer versatility and resistance to wear and tear, even in high impact environments. They are shrink-free, dimensionably stable, and unaffected by atmospheric conditions, water, salt, alkalis, diluted acids, most solvents, oil, and grease. Resists temperatures up to 212°F (100ºC). Apply in any thickness. The cured product is easy to machine with standard tools and can be painted. Q Can I use Kromakote 8601-1 over Metalfix L as a finish? Please call technical support at (800) 445-1754.